Harbour Supported Living Services Ltd offers a variety of services. This means that funding & costs will vary depending on the type of support or service required. 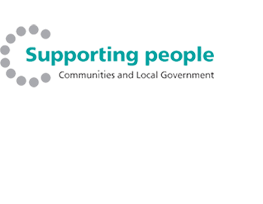 Some of our services are individually or jointly funded by the health and social funding such as Department of Social Services, Local Authority or Supporting People Fund. We also have rates specifically for the private sector such our C.S.C.S service for those individuals that do not qualify for health or social funding but still require a service. We recommend that you contact us to discuss any potential referrals or for general information regarding the service including funding & costs. All our referrals are dealt with sensitively and confidentially. We welcome any form of contact for further information to be given about the service we offer. Once we have received your referral, a courtesy call or email will be given to the referrer to inform that we have received it. Depending on the urgency requested and the support required – we will ensure that it is processed within an appropriate timescale. An assessment will then be performed in a suitable location, may it be in our main office or somewhere more familiar to the individual being referred such as their home. After the assessment has been performed and the type of support and service required has been identified – we will then formulate support costs based at whichever specific rate the type of service the individual is eligable for. Once the individual is happy with the devised support plan and funding has been agreed then the service can be delivered as when requested by the referrer. * We also take emergency / urgent referrals for individuals that require immediate response for support and accommodation. Our age range is from 17 years of age upwards. Contact head office for a referral form, complete and send back. Alternatively, request referral form via email or download here. All referrals are considered. We then arrange an informal meeting to discuss further details of the support required.